We have childhood discovery down to a science. 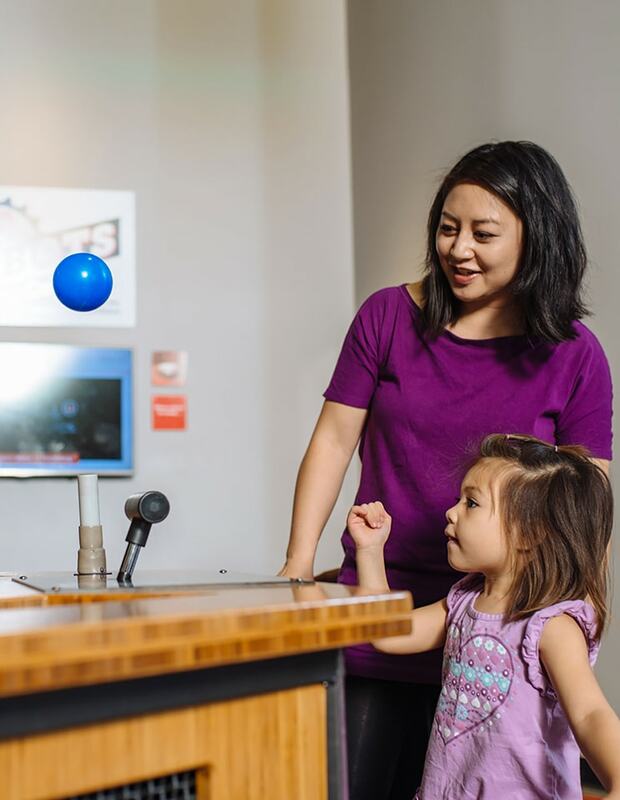 Explore the Discovery Room with your budding young scientist and immerse yourself in playful discovery. 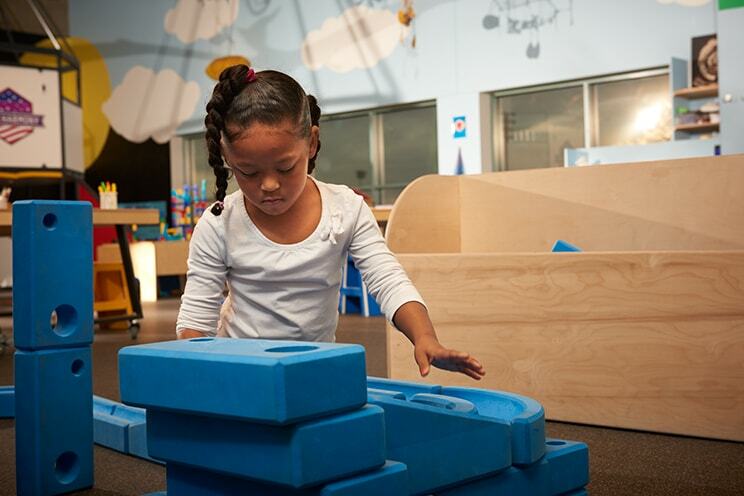 Research shows that children grow socially, academically, and emotionally in play-based settings like the Discovery Room. 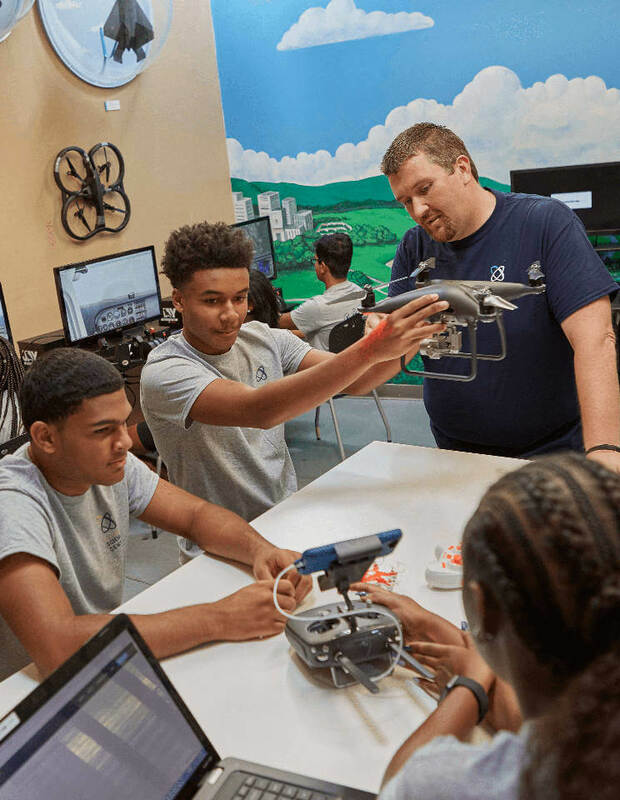 Come and learn through play – together. 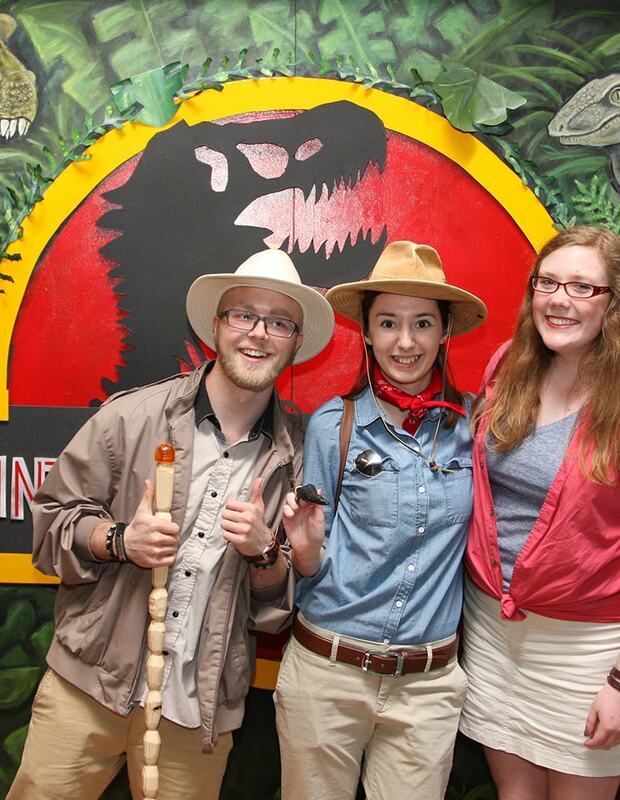 Tickets for the Discovery Room are available online, onsite at the Science Center or by calling 314.289.4424. 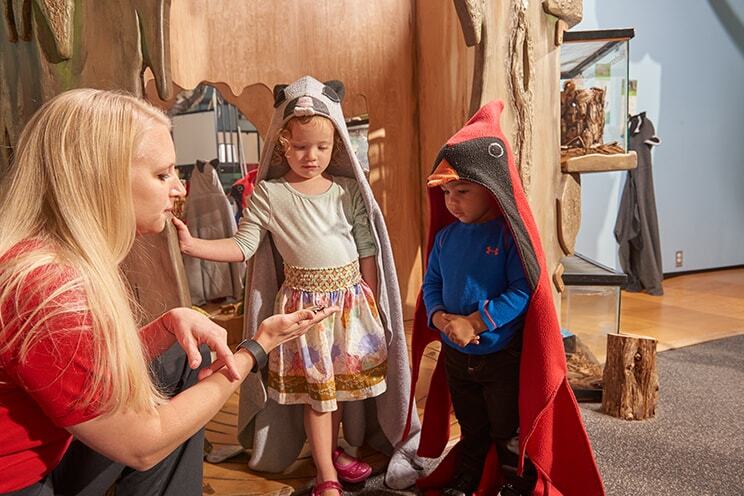 The Discovery Room is a self-guided hands-on early childhood environment where children and their adults learn and play together. 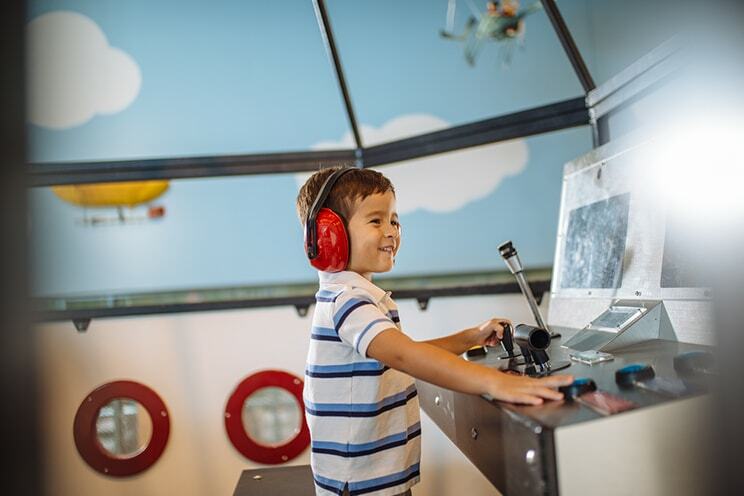 The exhibits, toys and activities are designed to encourage inquiry and exploration of beginning science, math, and engineering concepts. 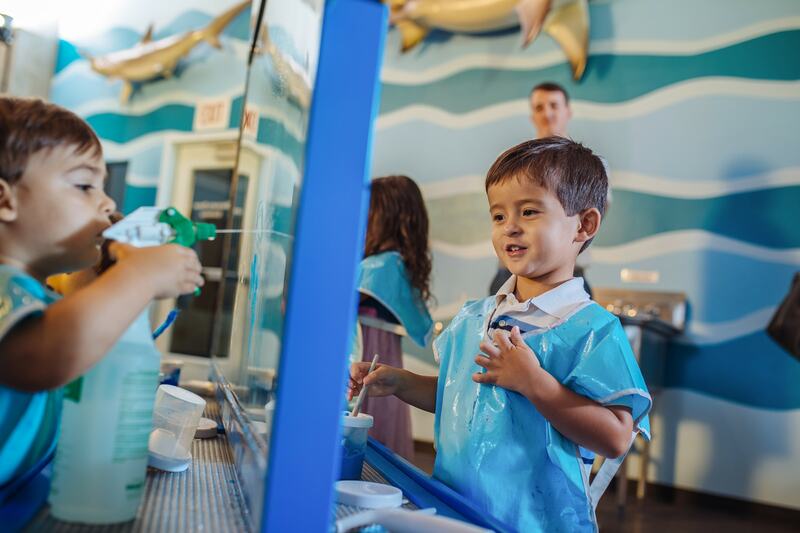 Some of the activities include water play, painting on the STEAM easel, saltwater aquarium observation, rocket ship with slide, shadow theater, and star room. Sessions last 45 minutes. Sessions start on the hour and last for 45 minutes. Call 314.289.4400 or check our daily schedule to confirm session start times. Space is limited to 50 people. One adult chaperone is required for every four children. Learn about water on our planet at the Wonderful Waters exhibit as you scoop and pour water into the city’s reservoir, on a mountaintop, or in the rain cloud. 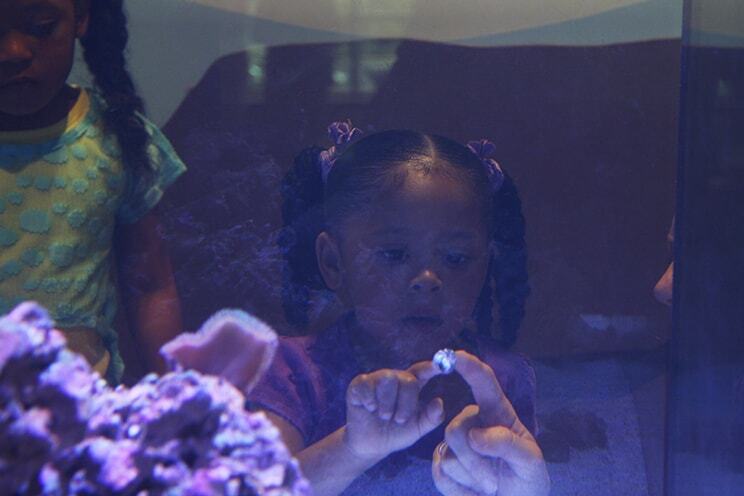 Observe an axolotl (a Mexican salamander), in her freshwater environment, and discover life on the reef in our saltwater aquarium. 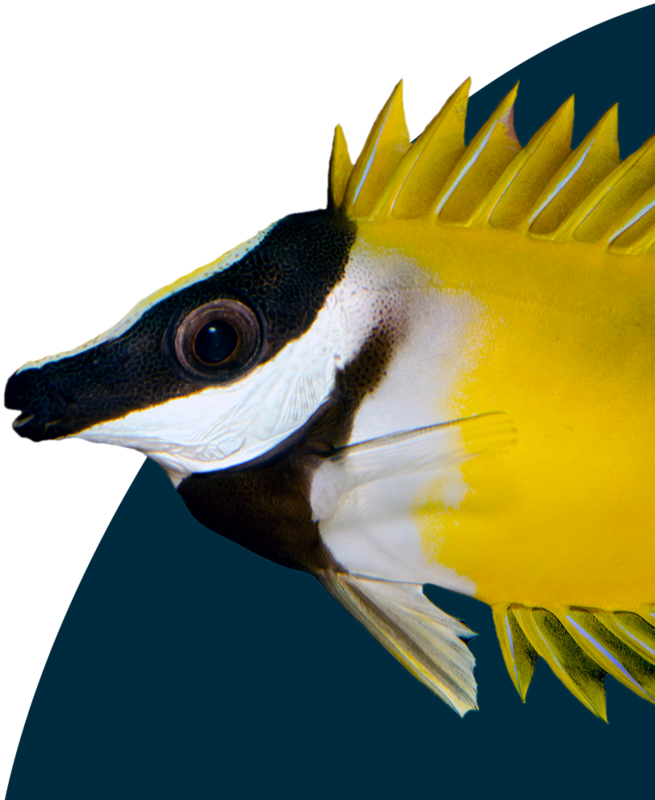 Be sure to say hello to Dory and Nemo while you’re there. 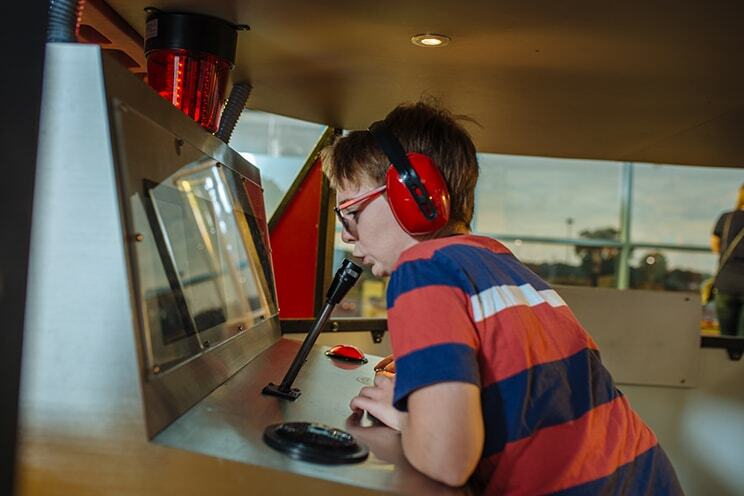 Assume the role of a NASA engineer on earth, or climb aboard the Harmony rocket ship and prepare for liftoff! 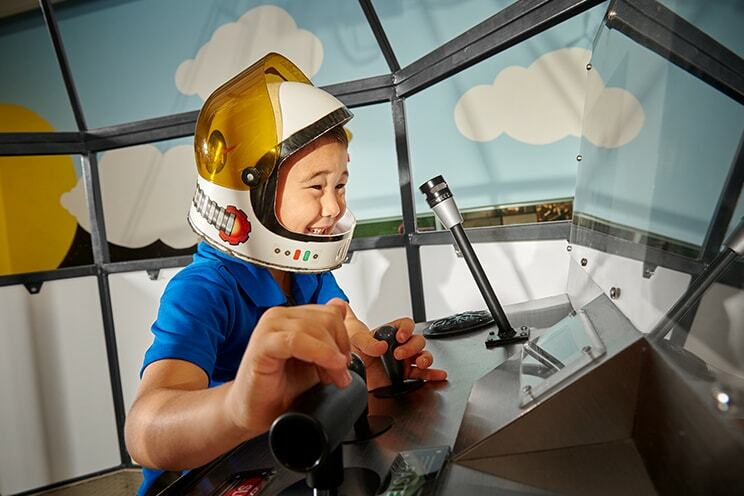 Keep in touch with Earth on the TV screen and microphone as you simulate flying to the moon, Mars, or beyond. When you touch down back on earth, exit the rocket on a slide. Visit our hollow tree clinic and experience life as a veterinarian. 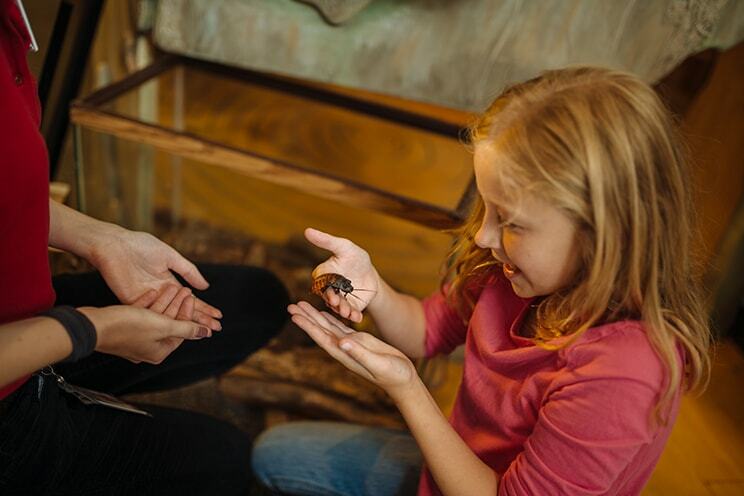 Put on a lab coat and stethoscope and care for the animals, or observe live Rainforest cockroaches and Madagascar Hissing cockroaches. You can even hold one (if you dare)! There’s even more for young scientists. 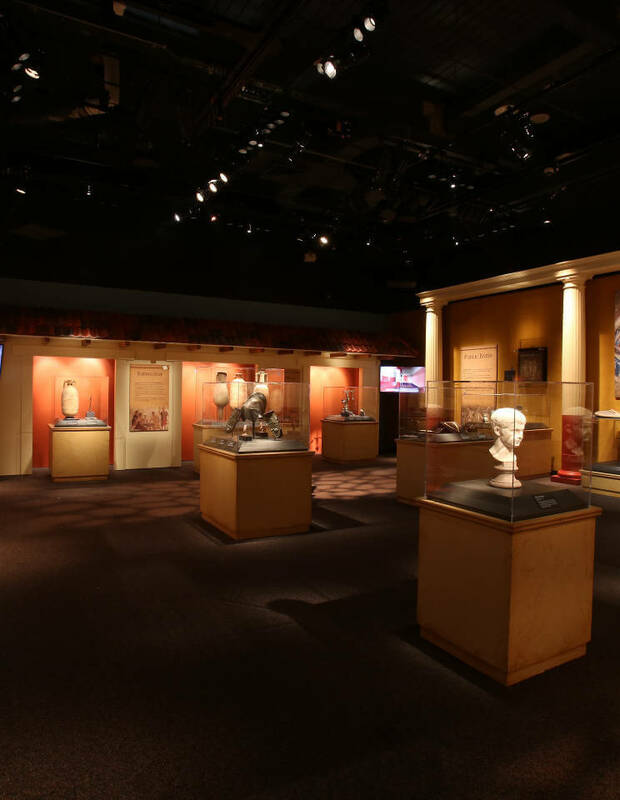 Groups can reserve the Discovery Room for private sessions! Call 314.289.4424 for reservations, or download our program guide for more information. If you are interested in a birthday party, please review our birthday party guide for more information. 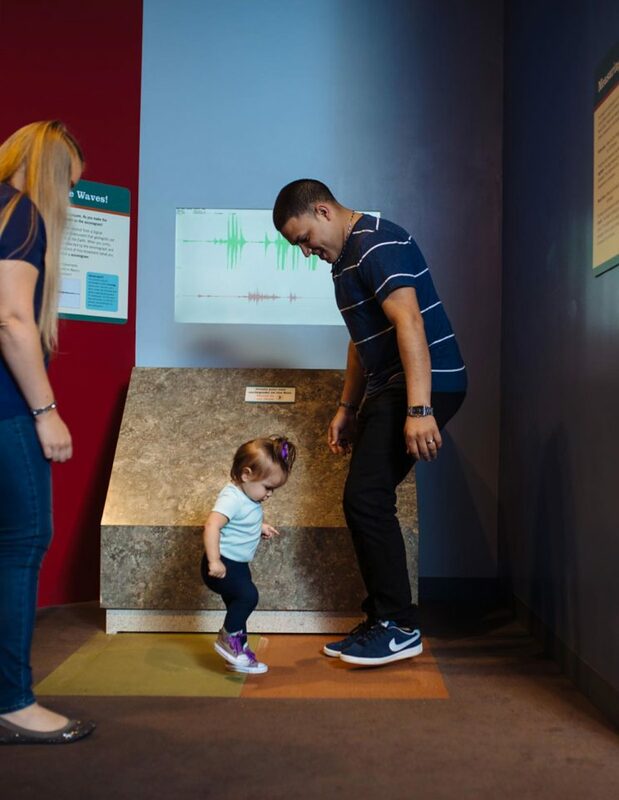 The Discovery Room is accessible to visitors with disabilities, as well as visitors with strollers, scooters, and walkers. Elevators and ramps serve all public areas.